In life and prepping some things just make too much sense. When I first caught wind of the Earthbag I thought of a weak and insubstantial building material that was better used to stop floods temporarily. To consider a structure of any real necessity brought to mind worse visions of some of my earliest building exploits which often ended in me taking a claw hammer to the project as it fell apart from lack of stability. I would hate to call it conspiracy but there is a lot of money to be made in building structures from plastics, wood and other traditional materials. 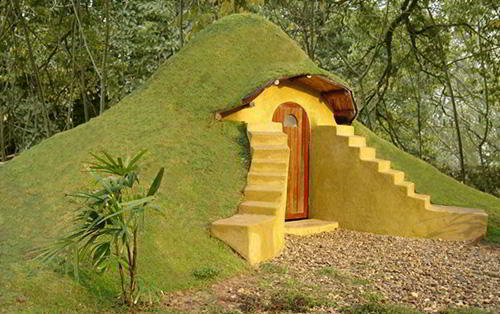 You will be shocked to find full scale homes built of these plastered and smoothed out Earthbags. Whether they are a comparable building material when we talk about durability and longevity is not proven. 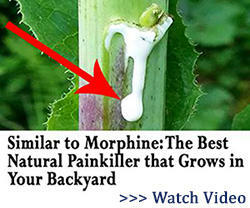 Still, as preppers you will find many great uses for this cheap and effective building material. WHAT IS AN EARTH BAG? The earth bags are used to build frames that are surprisingly powerful. I encourage you to take a look at the various types of pressure testing, damage testing, water damage and various other tests that these bags and structures have undergone. These Earthbags have been used to build everything form actual homes to beautiful root cellars and even emergency shelters. These homes do not require tensile materials at all. In other words no wood or brick. The structures are highly durable and just absurdly cheap. Most of the models I looked were around $300-500. The Earthbags are stacked and arched with barbed wire between the layers in many ways to create exactly the design desired. They are then covered with stucco grating and a strong waterproof plaster. Of course, the very basic use of these Earthbags is for fortification. 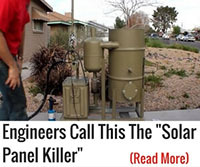 These would be a great option for stopping flood waters from hurricane or other natural disasters. You could also use these bags in a more tactical and defensive modality. The construction of various blockades or walls for gunfire cover would also be a great option for the earthbags. You can protect your home or your community with this bags. This is a very basic use and not nearly as ambitious as it could be. Whether you are looking for a decent root cellar or even a smoke house the Earthbags will be your best option, when it comes to price and durability. The bags can be built into the ground in a number of very interesting designs. 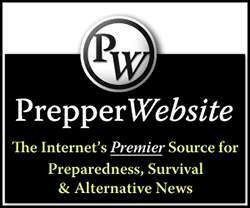 All preppers are on a tight budget and with a little learning and some lifting you can create beautiful structures. The design for this earthquake relief shelter make me think about how it would look underground. 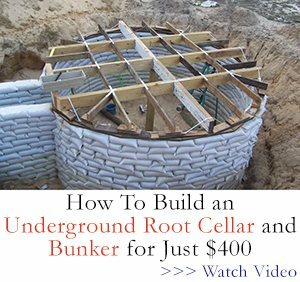 Could this be another cheap option to an underground bunker composed entirely of Earthbags? The long-term bunker can be a bit daunting. Not just in construction but also in theory. A family trapped underground for some duration, unable to escape each other is terrifying in and of itself. With the Earthbags you can create several rooms of custom sizes. 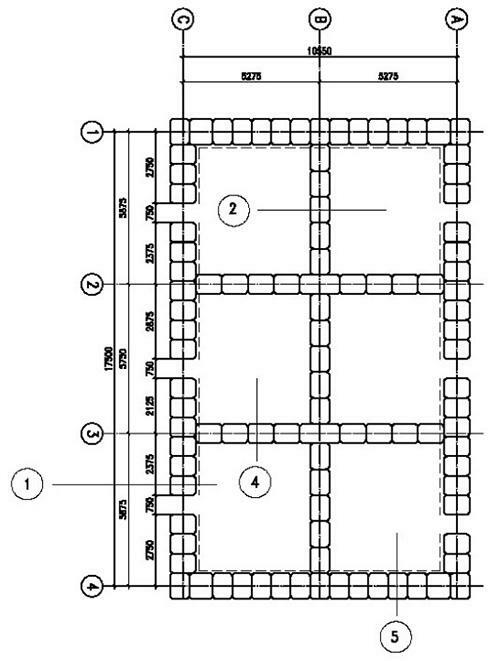 With the Earthbags you decide the floor plan as well as overall size. Other options, like shipping containers, are basically limited by the dimensions of the container itself. This shelter was built to aid in earthquake recovery. It is a semi permanent option for those who have lost homes due to earthquakes in the third world. The design supports a stove or a fire or both for cooking and warmth. The roof is questionable as it is primarily made of thin poles. The walls would be very durable and would insulate well. When I look at what’s possible with these Earthbag shelters I am not thinking about the pen ultimate shelter that will survive a shower of meteors and a nuclear blast. No. What I am thinking about is perhaps the best bugout option available. For most of us we are hindered by budget when it comes to buying bugout land and then building on that land. It’s a long drawn out process that involves tons of savings and maybe even some loans. Let’s imagine, for a moment, that we get our hands on some reasonably priced land and rather than build that dream cabin you put one of these shelters on that land for a bugout home that may cost $250. where do you buy these materials at these prices? I agree… 45 cy of road base for $50? That’s 2 end dump trucks, and well over the 250.00 price tag. 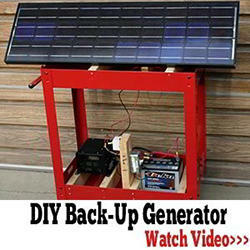 Most of the materials can be purchased at a DIY center. I found this site for bags. Here in Oz we would be paying $40 per 100 – so 600 would be $240 – not $90 but still very cheap building. And road base is about $80 a cubic metre in Oz which would come to $2720 for 34m3 compared $50 for 45 cubic yards… Surely there’s a mistake there, it can’t be that much cheaper in the states?? The only thing I can think of that is suitable as road base and cheap is the grindings from asphalt repaving. Small crush and run base is about $500.00 a dump truck load…. Interesting! Two questions: Wouldn’t the barbed wire poke holes in the plastic, allowing whatever is in the bags to fall or ooze out over time, with frost heaving and heavy rains? If it’s earth sheltered, what sort of retaining wall and how much backfill sand and/or pea gravel would you use to prevent the earth from moving the walls? Believe me, after they settle in and down that won’t be a problem. For a while, I spent several months building places to live out of “sandbags”. We started with a foundation or wooden 88m.m. Ammo boxes. Built about four feet high. To make two walls. On this we put 10 ft. Pipe halves.then layer about six layers of bags. where can you get these polypropylene bags. ?Trash bags sure won’t cut it. Try dog food bags from Pirena. Food for thought on alternative materials…and for me the key part of this article is, “Whether they are a comparable building material when we talk about durability and longevity is not proven”. 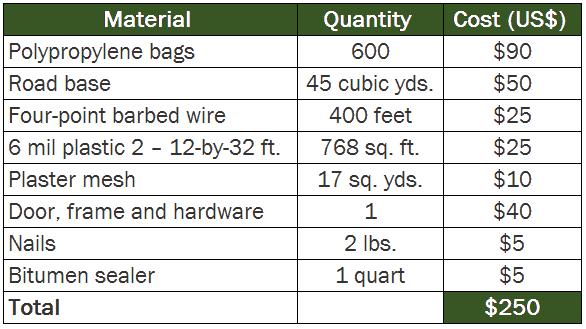 So.. interesting, but with his and other concerns mentioned (barbed wire damaging the bag material, etc.. it one thing to look at component testing its another to look at the structure as a whole. I think I’ll pass until there is completed structural engineering inspection data available. In the southwestern part of the United States houses were built of mud bricks they were called adobe. Here in my town there is are two adobe buildings both over 100 years old. They have survived earthquakes and heavy rains. adobe is not maintenance free, it needs to be coated with a wash that resists rain but a building that is over 100 years old has a pretty good track record. The basically are adobe buildings that instead of using straw as a binder, use polypropylene bags and barbed wire as a binder. Yes, adobe is a durable and wonderful building material — if it’s above ground, properly coated, and in an arid part of the country. The heavy rains we have back east, both because they can liquefy soil and turn it into a runny gel, and because of the increased weight load of the saturated soil on the roof, ain’t gonna work unless some other measures are taken. Like retaining walls with deadmen, seep holes, tiling, some sort of waterproofing membrane, maybe (certainly more than 6 mil), and sand/pea gravel around the perimeter. It would be a waste of time, energy, and money not to build it to withstand the climate. Unless you were building it in an emergency situation, of course! Any port in a storm, then. I guess you haven’t been following the weather news for the west coast since December 2016. We have had rains to match anything the east coast gets outside of a hurricane. The southwest is famous for rainstorms called gullywashers where rain comes down almost as if it were coming from a firehose. In 1969 we had two storms that were billed as 500 year rain storms. In other words, their intensity was such that a rains storm of that degree would only be expected every 500 years. We had two back to back. Oops there goes that statistic. Both of the adobes that I mentioned in my earlier post survived those storms with less damage than some more modern homes of conventional construction. Adobe may not be the be all, end all, but it is a viable construction material and is cheaper than barbed wire and polypropylene bags.Yes, you need a hot sun with long hours of sunlight in order to properly bake the adobe bricks so that eliminates more northern climes because their summer days just do not get hot enough. You need dry heat, so a humid climate does not work but if you live in SoCal, Arizona, Nevada, New Mexico So. Colorado and some parts of Texas, adobe is a viable building material. When i was in Afghanistan, they have homes made of mud brick, 2ft thick walls that were great on insulation, it’s freaking cold over there in the winter months, and can take a major pounding from small arms. I’m also interested in where you get these materials at this price. I suggest, with ALL structures exposed to a lot of rain, the installation of a ‘French Drain’ system all the way around the structure. Early settlers on the plains were called “soddies” because their homes were built of sod. You cut the soil much like when you are buying sod for your new lawn. You stack it up on each other to build walls. You put posts on top for support for the roof sod. If you didn’t do that, you dug into the side of a hill or — preferably — dry creek bed to create a dugout. You and your family lived in that until you got enough money together to buy lumber which came from back east to build a more suitable home. The grass and roots in the sod acted as the binder for the dirt. 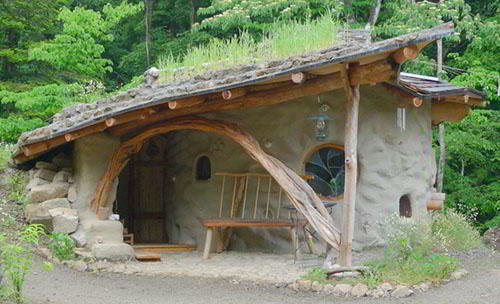 99% of the people now-a-days couldn’t live in an adobe earth house more than a day if that long. They would all think and complain about it not being up to code, it was disgusting, horrible, unsanitary, dangerous and unsafe, fire hazard, a safety hazard and otherwise just plain Gross.- It’s a fact. People have been spoiled and pampered too long and too much by modern day codes, living, and technology to be able to survive even one whole day, let alone one whole week, in such a shelter contraption. For me, it would depend on the layout. I would need lots of natural light, but if you install enough windows and possibly ship’s prisms you would be ok. Straw bale/cob combo gives you insulation plus sturdiness but walls are 3ft thick ( or more) so windows would be recessed. You also need an overhanging roof which adds to the darkness within. There are some really beautiful designs out there as well as some that are just too “twee” for words, but you can customize to suit your taste. Watch local building codes though. A tubular skylight developed in Australia in 1986 is low-tech simple for interior lighting, Miss Kitty. The one I have experience with is called SolaTube. A light-weight shiny tube goes through the roof, and has an acrylic dome that sits atop the tube on the roof. It reflects bright, natural, full-spectrum light into the interior. Even on a moonless night, there is enough light to allow getting up to go to the bathroom without turning on a light — and without waking all the way up, so one’s sleep is barely disrupted. There are a lot of bells and whistles since I bought mine in 2001, but I am perfectly satisfied with the plain vanilla ones I have. No electric needed! I have this type of light as well. But, it is not bright enough. I am not sure why you are feeling satisfied with this dim light. Perhaps Lucy has it positioned in a way to better gather the sunlight/moonlight therefore making it brighter on the interior..or perhaps her vision is better than yours….or perhaps the interior of her home is finished in brighter colors making the amount of light her SolaTube provides adequate for her needs. She didn’t say she was reading a book by its light……. There’s even better ones out now. I have bought one but haven’t fitted it yet. It is a solar panel on the roof with just a insulated cable going through (under the ridge cap in my case) to a led light matched to the solar panel size. It should work well. The whole idea of these buildings are security and safety. When you start adding windows and such, then there goes your security, you might just as well as living in a tent. My Great Grandparent settled/ homesteaded, in South central Nebraska. 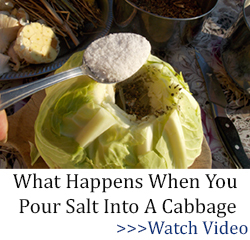 They lived in a dugout, excavated, by hand, with a sod front and roof. They lived in it for a couple years, until they could build a barn for the livestock. They farmed with horses, the most important animal on the farm. They moved into the barn for a couple more years, until they could build a house. We can all learn from the way folks lived in the 1800s. I love these stories from ancestors. My grandfather would visit a few settlers when he was making his rounds as a deputy marshal in Nebraska. I agree, we can learn much from the settlers of past years. Grandpa grew up in a sod house in Kansas. He said they were dark, buggy, and moldy, and he worked really hard to have an above-ground shelter because of that. Still…in tornado country, those places would have a real advantage, wouldn’t they? Remember Greensburg, Kansas, ten years ago? My wife and I together with a thousand other bicyclists visited Greensburg Kansas the year before the tornado destroyed the town. It was called Bike Across Kansas and has been going on for over 25 years. It was a lovely small town and we were devastated to learn that it had been destroyed by a tornado. However, unlike New Orleans where many residents of that town sat on their hands and waited “for somebody to help us,” the residents of Greensburg got together and rebuilt their town while FEMA as still trying to decide if there was a problem. I am sure sod shelters were all of how your Grandfather described them and worse, but they sure beat sleeping outside during a tornado or a Kansas winter or sleeping in a Conestoga wagon on the open prairie. 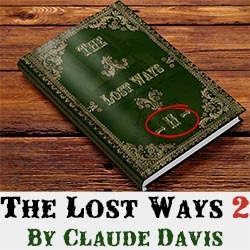 If the Kiowas were on the rampage, a soddy was certainly a better defensive position than a a Conestoga wagon or a tent. On another survival web site I just read about a prefab dome building that can be built is less than a week and is insulated and because it is a dome, it is quite sturdy. The company is in Alaska. They were a little coy about cost. You have to call them to get a quote. They don’t have prices on line, so I suspect that the dome costs significantly more than the sandbag home described in this newsletter. It was interesting though how it can be expanded with add-on domes to create a five room dwelling that is insulated and if you have the hookups, can have all the comforts of home. It was being touted as a hunting lodge for hunters (with big bucks) The parenthetical is my editorial. If I hunt, a wall tent with a wood stove is the lap of luxury. Lighting by Coleman. Water by 5-gallon jug. Sanitary facilities by Mr. Pit Toilet. Not related to Brad Pit, totally different branch of the family. I appreciate your humor! Where di I get a Mr. Pit toilet? In the Marine Corps we called them straddle trenches. I think that says it all. If you want the deluxe model, find two heavy duty forked branches and another more or less straight heavy duty log. How heavy duty you ask? Well, heavy duty enough to support the heaviest person in camp. Hammer the forked pieces in on each side of the trench and place the straight piece in the forks: Voila! A Mr. Pit toilet. In the Army we called them benji (hot benjo) ditches. Some called them squat pots. Those were the days. Could you list the link to this? Thanks! Seems like tar might be a good replacement for the barbed wire. I find it interesting to read these stories… my great grand parents homesteaded in cozad ne and were friends with buffalo bill. After these bags are in place, you can use a concrete mix with a rototiller for the dirt floor and then level it like cement. I saw a video of someone using colored paper sheets on top of the floor with a sprayon finish of some type that made the floor just pop. The outside of the bags can be covered with chicken wire and stuccoed(water resistant and very hard). The inside can be plastered, or just adobed with a little concrete as a binder. The roof should shed water and uverhand enough so that water doesn’t back up around the walls. 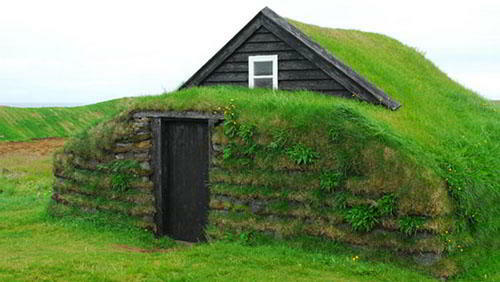 Using sod on top will allow things to grow on the roof and it will camoflauge better. Standard sixe doors and windows can be fitted, if you make on side much taller than the other a shed typr roof(one tilted plane can be used(no leaks) and a window or glassblock or even bottles can be placed in the wal for light from the outside. I wonder if this design could be used with this alternate construction idea. Instead of plastering exterior for UV protection, would it be a better idea to slip an above ground pool over the tops of the bags, and using a center pole to create slope for run off ? Those pools are pretty tough, and their cost at the end of the summer season is not bad, less than $500 for a 16 foot diameter for example. The bags in this case would be for wall insulation. I’ve been in the construction business for 38 years in the Pacific Northwest. “Road Base” which I assume is state spec 3/4 minus gravel is currently around $22.50 per ton, with a cubic yard composing 1 1/4 tons. Delivery local runs $50 to $100 per 10-12 tard load. Double that for a haul of 50-75 miles. Assuming you can put material on site for $1.12 per yard is the result of smoking crooked cigarettes!!! I have read comments from straw built homes that when all is done: windows, doors, conduit, plumbing, etc., homes of straw, earth bag, and so on are almost as expensive as stick built. Depends on where you get materials and whether your finishes are high end. If you reclaim/reuse/recycle materials you will save $ Check your town dump and demo sites. This is so cool seeing people interested in gaining knowledge and taking action on how to make it if things go really bad. These look nice, cheap and practical in a bugout situation. Adobe has been used in NM for over 900 years. Taos Pueblo is built out of it this is at 7000 ft. People have lived in these homes for 600 to 900 years now. They replaster them with mud,manure, and straw. I’m making my own bags out of vabper barrier. I do believe that these materials could be used for much larger structures. One thing I do see lacking is a way to let natural light into the home. Otherwise, I really like the way they are built and the fact that they are cheap!